Anyone that has had to live with a broken toilet will tell you that a well-functioning, durable toilet is one of the most important and best investments you can make for your family’s home. The reliability of a high-quality toilet is not only invaluable for your peace of mind but can also save you money on any future repair costs. As one of the most-used fixtures in any home, toilet manufacturers have created thousands of toilet options in different styles, colors, and sizes and developed many innovative features that maximize comfort and usability. When choosing your family’s toilet, you should first consider what seat height works best for all your family members. Standard bowl rims stand 14 or 15 inches above the floor for universal access and use. Comfort height toilets are a few inches taller, making them the ideal choice for families with elderly relatives, individuals with limited mobility, and taller families. While the added height makes it easier to get on and off the seat, comfort height toilets may not be the best option for bathrooms that are also frequently used by small children. Toilet seats are available in two shapes: round and elongated. For a well-functioning bathroom, the centerline of the toilet should be at least 15 inches away from any surrounding object. In smaller bathrooms, a round toilet bowl is a space-saving solution that can improve the flow and function of busy communal bathrooms. In master and guest bathrooms, the elongated bowl offers a larger seating area for increased comfort for the user. 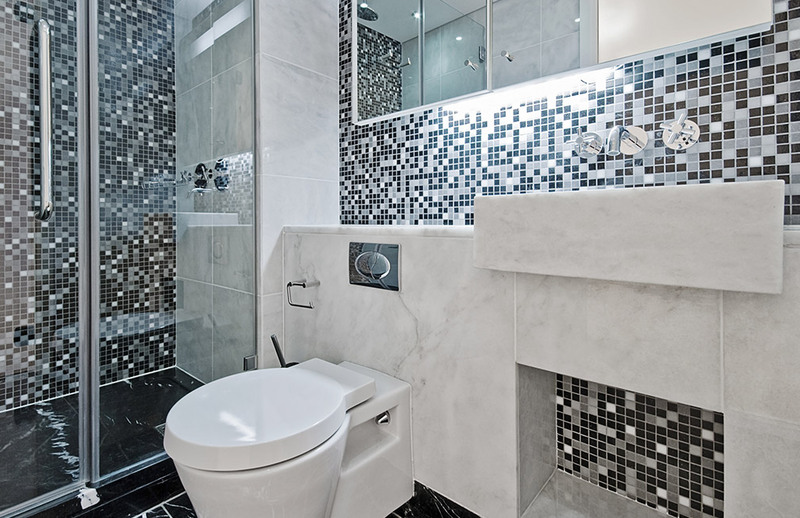 Toilets come in many different styles, materials, and colors to fit any bathroom’s aesthetic. Two-piece toilets offer a classic look for traditional or transitional spaces while sleeker one-piece models suit a modern style. Wall-mounted bowls provide a simple, clean appearance to complement a contemporary bathroom while floor-mounted bowls are a timeless option that seamlessly integrate into any bathroom aesthetic. 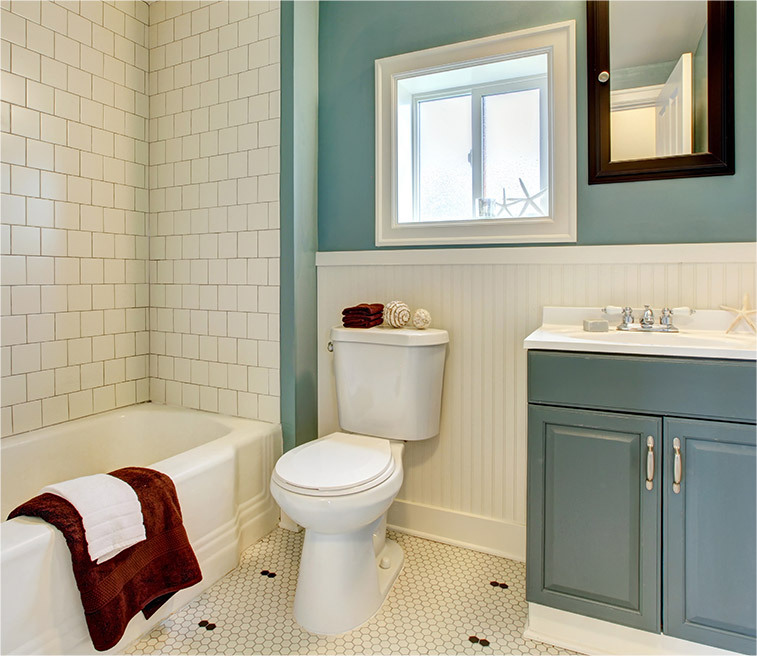 When choosing your family’s toilet, you should also consider what color works best in the space. 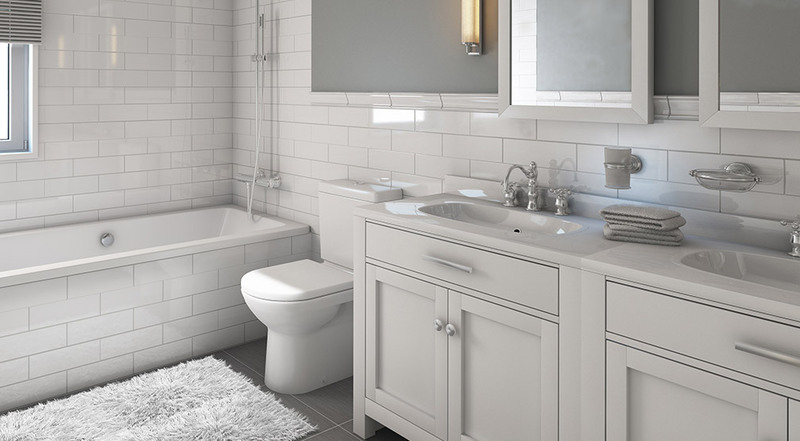 While white is standard and has the best resale value, a toilet in a non-traditional color can have a major visual impact and complete your bathroom’s look. For an ultra-modern space, a black toilet gives a chic and sophisticated feel while pink or harvest gold toilets fit perfectly in vintage-inspired, eclectic homes. 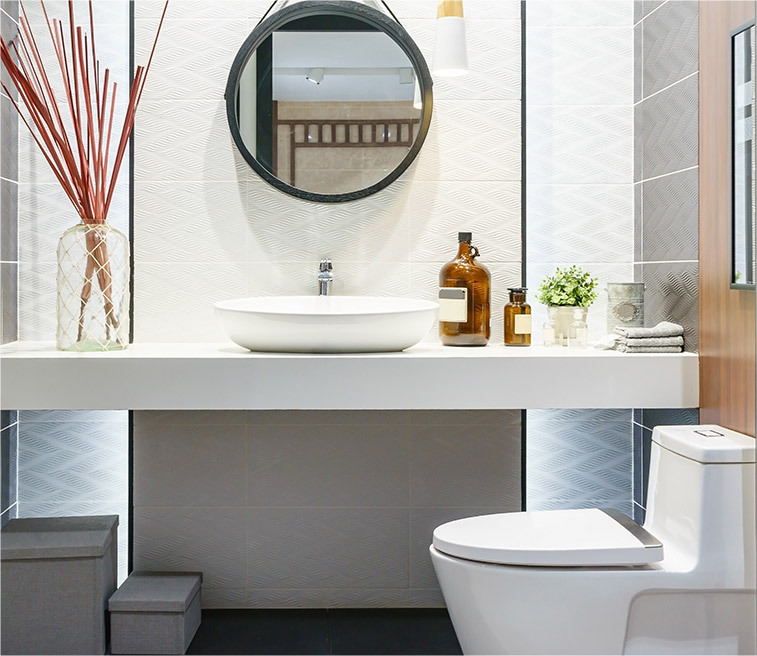 Your bathroom toilet should not only match your space’s overall aesthetic but also be reliable and durable to perfectly function for many years. At Henry Kitchen & Bath, we offer thousands of toilet options from the industry’s leading brands like Toto, American Standard, and Mansfield Plumbing, so you are sure to find the perfect toilet that will work for your family’s style and needs. While common in many countries around the world, bidets are just beginning to rise in popularity among American households. These fixtures were created in the 1600s in France and have remained popular because they provide an easy, convenient, and sanitary way to freshen up. 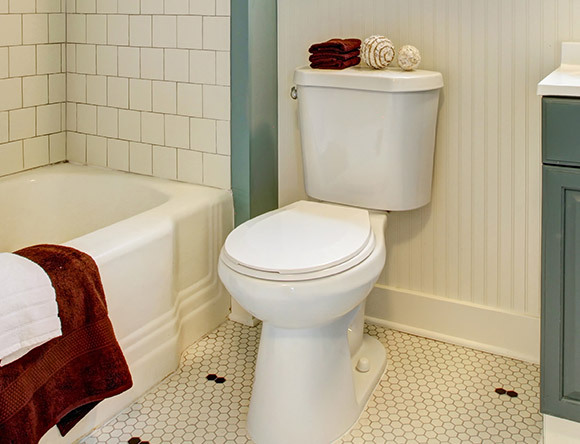 Bidets are typically placed beside the toilet for easy access and include a basin, drain and faucet. If you are unsure about committing to a bidet, Henry Kitchen & Bath also stocks bidet toilet seat – these powered seats provide a variety of useful features like heated seating, adjustable water pressure and temperature, and a deodorizer to name a few. As the name suggest, the tank and bowl of one-piece toilets are fused together to create one seamless unit. 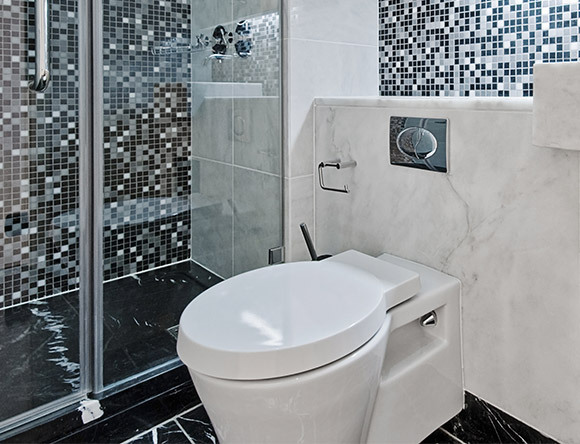 While these toilets are typically more expensive, they provide many useful benefits like a smaller footprint, easier cleaning, and a sleek and contemporary look that make the investment worthwhile. With fewer exposed pipes and separate parts, one-piece toilets are also usually more durable than their two-piece counterparts. While they offer many tangible advantages, one-piece toilets are bulkier and harder to install, so make sure you utilize Henry Kitchen & Bath’s experienced installers to ensure your toilet is properly placed and functions perfectly for years to come. Two-piece toilets include a separate bowl and tank that are bolted together to create one cohesive piece. This style of toilet is by far the most popular because of its lower price point and easy replaceability of broken or old parts. As the most widely used type of toilet, top brands have created a wide variety of two-piece toilets in different colors, materials, and innovative features to satisfy any family’s style and functional needs. Most toilets do not come with a toilet seat, which gives you the freedom to choose a seat in the shape, style, and features that work best for your family. 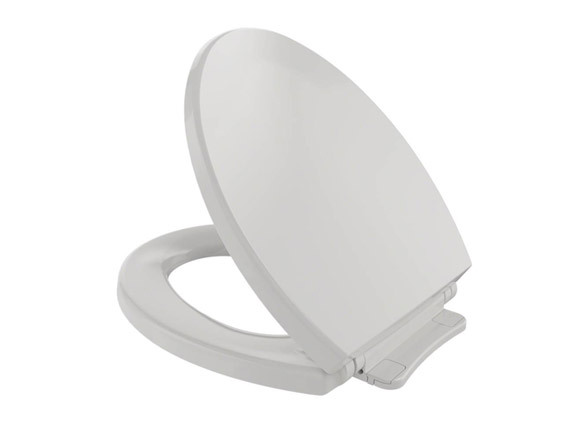 As an important toilet component, investing in a high-quality toilet seat can save you from the daily discomfort of a flimsy, low-quality seat. After all, why invest in a top toilet if you cannot properly enjoy it? When choosing the best toilet seat for your needs, first decide whether a round or elongated shape works best in your space. Then, you can select from the vast collection of colors, materials, and innovative features available at Henry Kitchen & Bath to build the toilet that works best for you and your family. 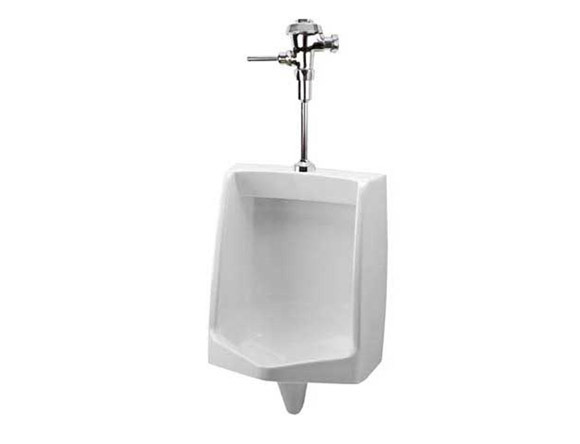 While standard in commercial and professional spaces, a urinal is the perfect addition to any basement man-cave, at-home office, or bathroom that is primarily used by male family members. Wall-mounted urinals are not only a practical, space-saving solution, but can also make the bathroom more accessible for older men with limited mobility. Although they are an unconventional option, a urinal could be a highly practical investment in certain bathrooms or for primarily male families. 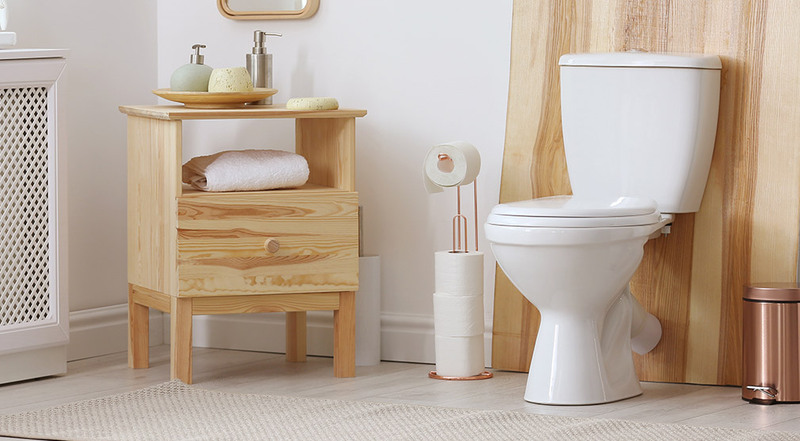 A toilet is one of the home’s most used fixtures, especially for large families with shared bathrooms, so selecting the right toilet for your family’s style and needs is essential in creating a bathroom you and your family love to use. 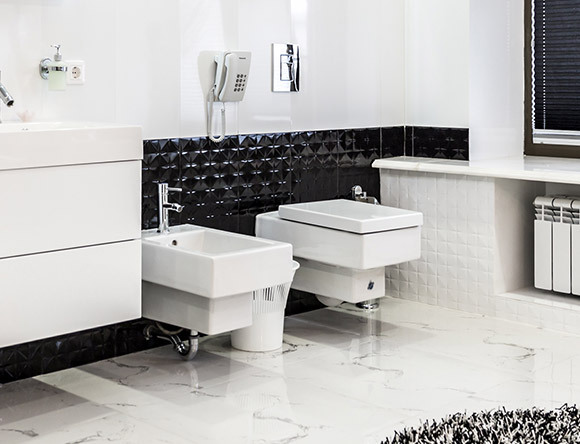 At Henry Kitchen & Bath, our team of expert designers will help you select your perfect toilet from the thousands of high-quality options available at our local St. Louis showrooms. They will also work with our experienced installers to ensure your family’s toilet is correctly implemented and fully functional for years to come. Start your bathroom renovation today by scheduling an appointment with our team – At Henry Kitchen & Bath, we can make your dream bathroom a reality!